"Professional work. Clean and Modern. I had from beginning a good impression." — Andreus M.
We’ve set out to become the world’s one of the most successful chain of dental clinics. Our primary goal is to make a difference in our patients’ lives and change the whole sector forever. Our expert dental teams offer Orthodontics, Dental Implants, Oral & Maxillofacial Surgery, Prosthodontics, Periodontics, Endodontics, Special Treatments, and Pedodontics. We help kids, teens, adults and seniors smile to life with confidence, empowering them to change their world. We know… how a tiny touch on a single tooth can lead to a huge smile and how a smile can unleash one’s full potential to change his or her life; be it a new job, a new girlfriend, a long deserved promotion or a role in a school play... every single day. This is the mentality we come to work with. This is exactly why we sit in our units with so much passion and motivation. This is why we’re different, and, why we’re the changing face of our sector. Because, we’re not only treating our patients’ teeth, we’re also touching their lives for the better. 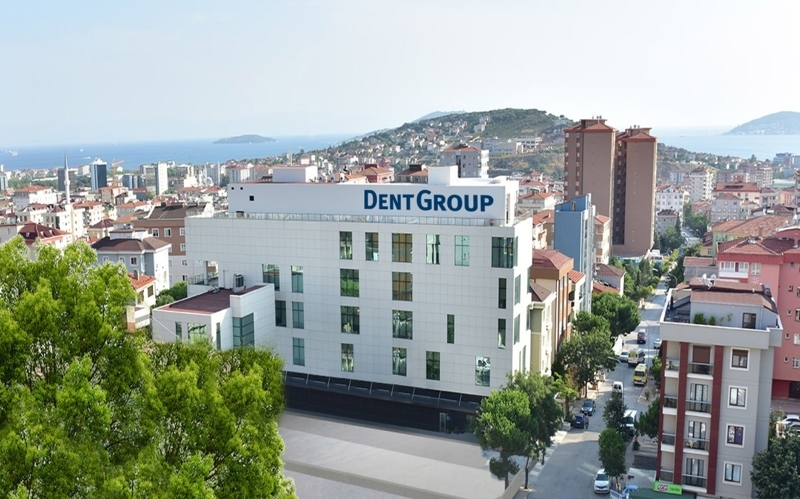 The top dental group in Turkey, DentGroup, has become a pioneer by establishing its own Research & Development, Human Resources, Communications, Marketing and Advertisement, Health Tourism, International Marketing, Medical Procurement, Administrative Affairs and Accounting departments under Management from its own Headquarters office. 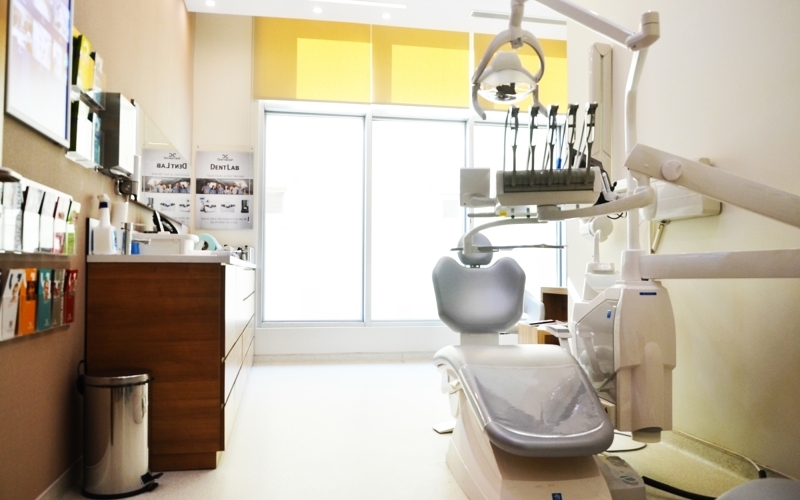 DentGroup has identified the sector’s and its own needs as a brand by adopting the perception of “Digital Dentistry” and created its own software called “DentSoft” — which is Turkey’s first web based software containing CRM-ERP features. By integrating its corporate webpages with the software, it moved all appointment and archive system to digital environment. In 2015, DentGroup was founded a digital dental laboratory named “DentLab” and has materialized digital design process in dental manufacturing. DentGroup’s own magazine “DG World”, personnel training platform “Dent Academy” and “Dent FM” — which broadcasts online, DentGroup pays a lot attention to preserve the same service standards in each of the clinics and providing all treatment and process content to the patients thanks to its mobile application “DentApp”. Within the scope of a social responsibility project, DentGroup supports the foundation of “Children of Hope” by making dental treatments of many teenagers with no charge. In 2017, DentGroup became the oral and dental health sponsor of Eczacıbaşı Sport Club and Eczacıbaşı VitrA Women Volleyball Team. 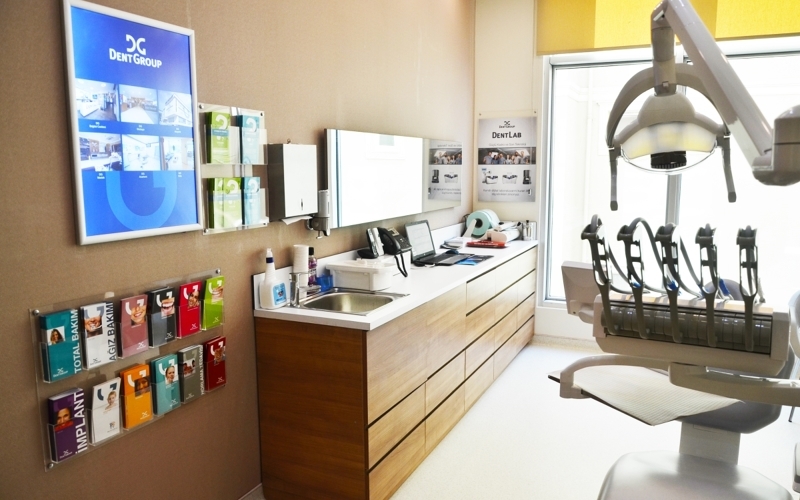 DentGroup has been continuing its works to become “the world’s the best and the largest chain of dental clinics brand” with its clinics and its partner clinics in many locations in Europe, such as London, Cologne, Berlin and Berlin. The main goal of our laboratory is to sustain effective and efficient working all the time with the highest possible quality standards. 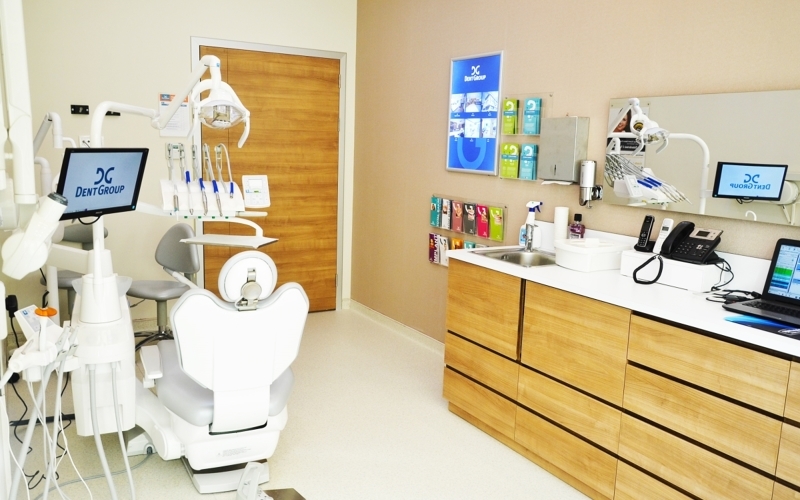 DentLab, surrounded by the cutting-edge technological devices, provide service to our doctors and DentGroup clinics with its distinguished staff. The reason behind DentLab's establishment is to produce artificial teeth with higher quality through usage of high technology within limited time frame. In accordance with this purpose, DentLab is equipped with the latest devices of Sirona and Ivoclar which are the global pioneers of the sector. DentLab combines manpower and technology. From beginning to end of the production phase, we use computer technology. One of the most significant indicator of our success, relies on patient satisfaction. We monitor our patients systematically and based on their feedback, we try to improve the services we provide. DentLab places emphasis on training of the staff, research & development data and always push its limits to offer more quality. In DentLab, we use Sirona's the most advanced CAD-CAM and Ivoclar Press system. All of our infrastructure is produced with CAD-CAM and Laser Sintering method. We also provide CEREC Omnicam service which is essential in today's digital era. Moreover, thanks to the CEREC system, esthetic and durable full porcelain teeth can be made without any bare hand contact. We provide tailor made solutions on overimplant restorations with more hygienic and long lasting teeth. In the laboratory; laminate, press, lens, zirconia (layering), monolithic zirconia, feldspathic ceramic, gradia, total denture... all of these are produced from the most preferred materials in the world with great care. Due to its trust to production quality, all DentLab work is under 5 year warranty. i was losing 3 front upper jaws teeth and create contact with dent group and made a bridge.. after we made alot of test on my new teeth till i got my final lovely teeth with the shape and color i wanted. أحب أن اشكر الأطباء المختصين والأخ غسان على حسن والرقي في التعامل والاهتمام والدقة في المواعيد.. وخاصة كان عندي فرصة استخدام اللون والشكل المناسب لأسناني. Melih Bayram was born in Amasya, 1979. He was graduated from Amasya High School in 1996. 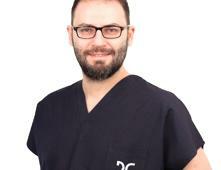 In 2002, he was graduated from Yeditepe University, Faculty of Dentistry. Since 2004, he worked in several dental clinics. He is mainly specialied in restorative and aesthetic dentistry. He received advanced training in both Aesthetic Dentistry and Oral Surgery nationally and internationally. 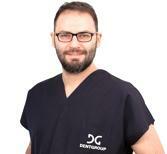 He is one of the founding partners of DentGroup Maltepe. Zeynep Kalyoncu was born in Bursa, 1988. She completed her high school education at Cağaloğlu Anatolian High School. 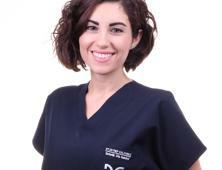 In 2011, she was graduated from Istanbul University Faculty of Dentistry. For almost 4 years, she fulfilled aesthetic restorations and various dental treatments in a dental clinic. 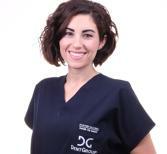 She is one of the founding partners of DentGroup Maltepe. Planning on having dental work in Istanbul? Plan on some serious sightseeing — with visits to Topkapı Palace and the Hagia Sophia, plus a wide array of other museums, shops, restaurants and activities. Love the outdoors? Opt for a Bosphorus boat tour. These scenic cruises chug along the straits, taking in highlights such as the 15th-century Rumeli Hisarı fort and the pretty waterside village of Arnavutköy. Something for everyone! Denoted as one of the world's largest cities — Istanbul amasses over 14 million people and generously offers thousands of specialties, like boza (a fermented millet drink). Essentially a grilled cheese sandwich enriched with slivers of beef tongue, 'dilli kaşarlı tost' falls into Istanbul's category of favorite snacks. Turkey will also leave you pickled — as pickles are a beloved feature of the city's cuisine. 'Balık-ekmek' — made of fish-bread, is a cheap sandwich composed of grilled fish, onions, tomato, and lettuce. 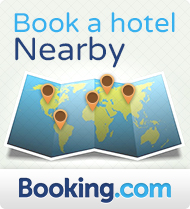 The main areas to stay in Istanbul are undoubtedly the Taksim area in New City and Sultanahmet on the western side of the city. Sultanahmet is great for sightseeing but New City has the best of both worlds — Sights and Istanbul’s nightlife. 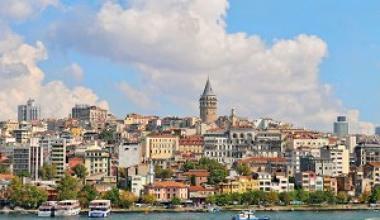 Golden Horn district is also a amazingly coastal place to enlighten your trip with Turkish culture.